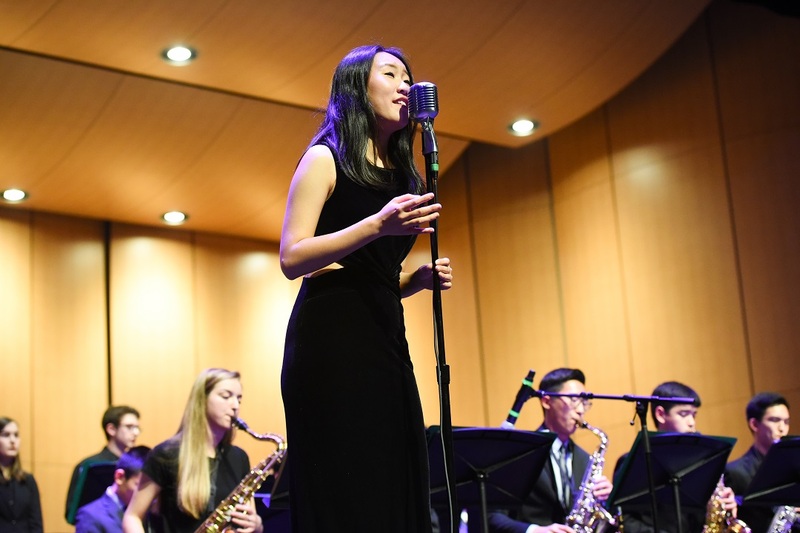 Senior Kelsey Wu was recently selected to be a part of Jazz in the Neighborhood’s Emerging Artists Program, which connects young Bay Area jazz talents with mentorship and performance opportunities with professional musicians. Wu, who performs with The Harker School Jazz Band and the show choir Downbeat, earned a spot in the program after a rigorous selection process that required applicants to submit videos of their performances or schedule live auditions. Those selected for the program are expected to have a five-song repertoire they can perform from memory, along with the ability to improvise on those songs as well as several jazz standards. Wu’s first performance as part of the Emerging Artists Program will be with the Dahveed Behroozi Trio at the California Jazz Conservatory on Feb. 6. at 7:30 p.m. Founded in 2013, Jazz in the Neighborhood is a Bay Area-based organization that presents performances by local professional jazz artists and supports working musicians by arranging fair compensation for their work.